California Attorney General Xavier Becerra refused to allow three California hospitals to escape millions in charity care requirements. The decision signals his agreement with those who argue that patients are still struggling to pay their medical bills, even when they have insurance. 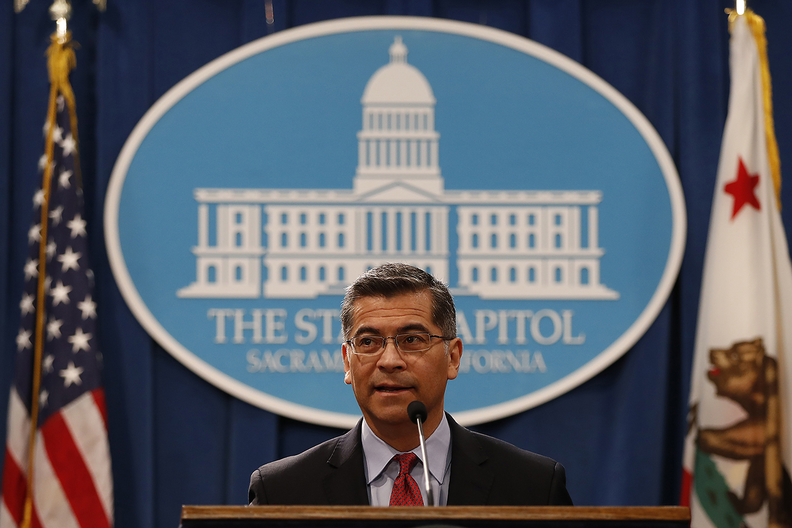 California Attorney General Xavier Becerra has ordered three California hospitals to pay out millions of dollars to local not-for-profits, declining their requests to be freed from charity obligations required under state law. The hospitals, based in the Central Valley and Los Angeles, argued that there isn't as much need to support charity care because millions more people have health insurance under the Affordable Care Act, and therefore don't need as much financial help to pay medical bills. Becerra's refusal signals his agreement with health consumer advocates, who argue that patients still are struggling to pay their bills, even when they have insurance. While it applies to just a few hospitals, the decision sends a message to hospitals around the state, some of which want similar relief. The California Hospital Association sent a letter to Becerra in September, saying that 32 hospitals wanted more "flexibility" in their charity care obligations. "We were thrilled" by the attorney general's decisions, said Jen Flory, a policy advocate with the Western Center on Law & Poverty, which advocates for health care for low-income Californians. Flory said the letters show that Becerra understands there are still "unmet needs" for financial assistance for people who have high-deductible plans or can't afford their out-of-pocket costs. "Many of them may not be presenting in the emergency room, but that doesn't mean that there's not additional outreach that hospitals could do" to help these patients afford their care, Flory said. The three hospitals were issued denial letters by the attorney general's office on Friday. As a result, petitioner Mission Community Hospital in Los Angeles is required to pay about $1.7 million to at least one local not-for-profit organization providing medical services for low-income and homeless residents, for failure to meet its charity care requirement in fiscal year 2016. Emanuel Medical Center in Turlock is to pay about $1.9 million for the poor to meet its 2016 requirement. And the University of Southern California's Verdugo Hills Hospital must donate almost $1.7 million to local medical service providers to meet its 2017 requirement. Under state law, California's attorney general can set specific charity care requirements for hospitals when a not-for-profit hospital merges or is acquired by another not-for-profit or for-profit company. Separately, federal law requires not-for-profit hospitals to provide an unspecified amount of free or discounted care — or other charity, such as donations to community groups — in exchange for tax breaks. "California hospitals must cough up millions to meet charity care rules" originally appeared in California Healthline, a service of the California Health Care Foundation, which is produced by Kaiser Health News. Kaiser Health News, a not-for-profit health newsroom whose stories appear in news outlets nationwide, is an editorially independent part of the Kaiser Family Foundation.